Since it’s not quite patio season, we went with a maltier sour with more body that what a typical sour offers. 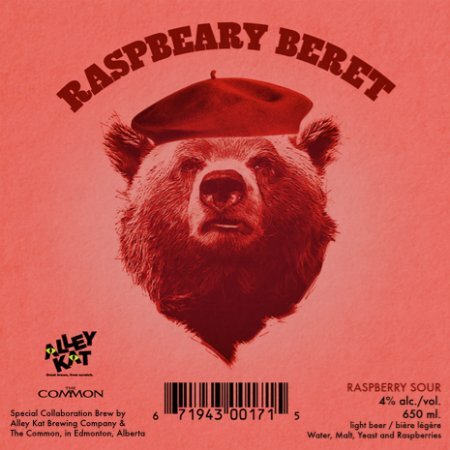 We fermented it on a layer of raspberries to provide that raspberry fruitiness that’ll help balance the subtle caramel malt character… this’ll shake any bear out of hibernation! This robust porter has heaps of brown, crystal, and chocolate malt to provide the satisfying flavours of coffee, caramel, a hint of chocolate, and roasty toasty notes to keep you warm inside and out! 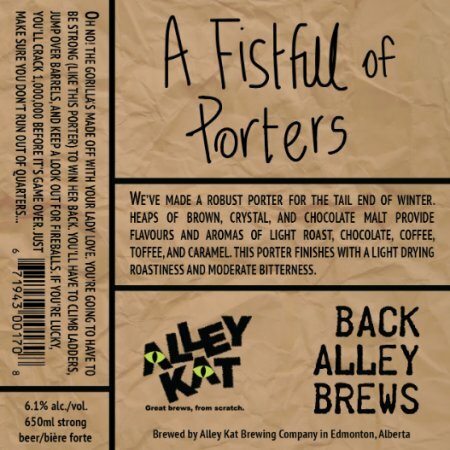 Both beers will be released tomorrow (March 7th), and will be available at the Alley Kat brewery store and select liquor stores and bars in Alberta while supplies last.